Hey there! It's been a busy week at our house. I just wanted to pop in and share another layout with you from my Bella Blvd application. This project is documenting my little lady's crazy hair do for crazy hair day last year. I used the Bella Blvd Snapshots line. I LOVE the colors in this collection. They are perfect for little girls! 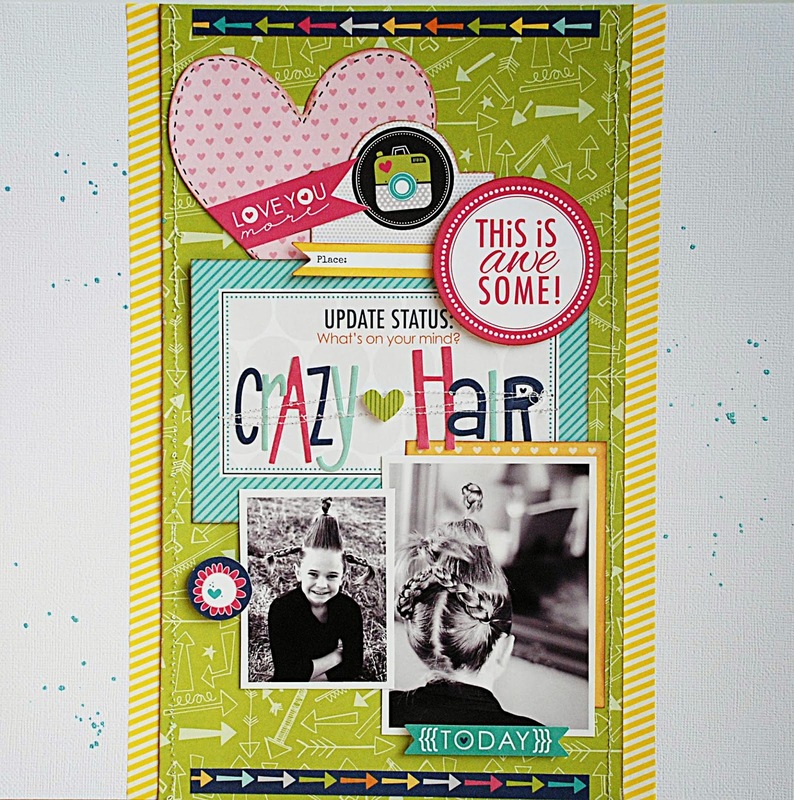 Love this layout and I definitely LOVE her hair! So fun!! LOVING how it all came together! !